It was the official residence of the then Deputy Chief of Army – Major General Ziaur Rahman, where in June 1974 (14 months before the brutal murder of Bangabandhu Sheikh Mujibur Rahman along with other members of his family); Major Syed Faruk Rahman and Major Rashid had a three-hour long secret meeting discussing details of a coup. One of the participants had doodled on a scrap of paper which had been thrown carelessly into a waste paper basket. The scrap of paper was collected from the garbage pile by a clerk and passed on to the Research and Analysis Wing (RAW) operative in Bangladesh. No one knows till date, what was the name of that clerk and identity of the RAW operative. But any naive can even understand, that clerk, working inside the premises of the official residence of the Deputy Chief of the army was certainly maintaining connections with RAW via that operative, of course in exchange of ‘benefit’ or ‘compensation’. How many more ‘contacts’ of such foreign espionage agencies are still existing inside the restricted territories of Bangladesh Cantonments – is a question possibly never to be answered. The piece of paper, passed by the clerk directly went into the hands of Rameshwarnath Kao (R.N.Kao), the founding chief of RAW in New Delhi via the ‘operative’ of the Indian spy agency in Bangladesh. After going through the scrap of paper, Mr. Kao was fully convinced that a coup was in the offing in Bangladesh. He flew into Dhaka under the disguise of a betel leaf importer. Prior to this trip, the chief of RAW had personally met then Indian Prime Minister Ms. Indira Gandhi and told her everything in details. The RAW Chief told the Prime Minister that these reports (it means RAW also had collected more evidence in addition to the scrap of paper) had been received through a ‘very sensitive source’ whose identity had to be kept secret at all costs. Here again, anyone having minimum knowledge on the modus operandi of the espionage agencies could easily understand – that ‘very sensitive source’ of RAW was no ordinary individual. It must have been a member of the Bangladesh Armed Forces or any of the intelligence agencies. By maintaining such ‘sensitive source’, if any foreign espionage agency could get hold of the scrap of paper collected from a garbage pile, as a patriotic individual, I have all the reasons to worry thinking, those foreign spy agencies can get hold of almost any secret or top secret, classified or sensitive information on ‘state secrets’ if and when they want through the active collaboration of their ‘operatives’ or agents inside Bangladesh. Anyway, after almost six months of receiving the solid information on a possible coup (which had been revealed in that scrap of paper), RAW Chief Rameshwarnath Kao, with the approval of the Indian Prime Minister, came to Dhaka in December 1074, as I already mentioned – in the disguise of an importer. He was driven to a secret place, met Bangabandhu Sheikh Mujibur Rahman at Bangabhaban. When Mr. Kao informed Bangabandhu about the conspiracy of the coup and the potential threat to his life and even categorically mentioned the names of the conspiring officers of Bangladesh army, the father of the nation – Mujib dismissed concerns of the RAW chief saying – “These are my own children and they will not harm me.” Rameshwar Nath Kao did not have the guts or courage to argue with Bangabandhu but he politely said, the information was reliable and he would send him more details of the conspiracy. Following this meeting, the RAW chief sent one of his trusted officers to Dhaka in March 1975 (five months before the August 15th tragedy) to brief Bangabandhu with further details and the evidences about a possible coup. This time, the RAW officer gave Mujib exact details of the units and ranks of the serving and dismissed officers who were plotting a coup against him. But again, Bangabandhu was not convinced but decided to send Major General Ziaur Rahman abroad as an ambassador. The conspirators were worried as sending Zia out of Bangladesh would foil the coup. At this stage, cunning Ziaur Rahman managed some of the trusted comrades of Bangabandhu, including Tofael Ahmed to convince Mujib in changing his mind. Tofael Ahmed and two other most trusted aides of the father of the nation served the purpose of Major General Ziaur Rahman by convincing the ever-kind Bangabandhu in not sending Zia out of the country. Should Tofael Ahmed and others turned-down Zia’s plea, the nation might not have had to lose the founding father on August 15, 1975. The August 15 conspiracy began many years before it finally was implemented. It actually began in 1972. During that time, Major Syed Faruk Rahman reportedly made a surreptitious visit to the US embassy in Dhaka to discuss about procurement of arms. On 11th July 1973, brother in law of Faruk – Major Khondokar Abdur Rashid (hailing from Comilla district) went to the US embassy seeking arms and this time he claimed that he went there to negotiate on behalf of a committee headed by then Brigadier General Ziaur Rahman for the arms purchase. On 15th May 1974, Faruk Rahman, on the directive of a senior army officer, sought assistance from the US government through the US embassy in Bangladesh. The US ambassador David Eugene Bostar forwarded the message to the US Department of State in a secret document to Washington DC. Another important information revealed by Colonel Moinul Hossain Chowdhury, then adjutant general of army saw Major Khandaker Abdur Rashid waiting at the entrance of Moinul’s officials residence in the afternoon of 20th March 1975. By that time Moinul was transferred from Dhaka Brigade and Rashid thought he (Moinul) must have been aggrieved at such transfer and as soon as Rashid saw Colonel Moinul, he started to speak in an excited voice about the army, politics, Bangabandhu and BAKSAL [Bangladesh Krishakl Sramik Awami League]. 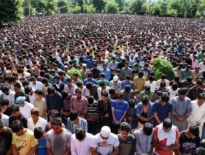 Colonel Moinul although did not pay any heed to the comments of Khandaker Abdur Rashid, he did not bring this matter of extreme dubious attitude or intention of Rashid to his superiors. The political analyst believes, the introduction of the one-party system – BAKSAL, following the fourth amendment of the constitution in January 1975 came as a blessing for the conspirators of the bloody coup of August 15, 1975. When such nefarious conspiracy against Bangabandhu was continuing almost unhindered, Brigadier General Abdur Rouf was chief of the DGFI [Directorate General of the Forces Intelligence], a military intelligence service of the Bangladesh Armed Forces, though Brig Gen Rouf was repatriated from Pakistan after the war of independence and it is rumored that like many of the officers from East Pakistan who remained loyal to the Pakistanis till December 16, 1971 – Rouf was one of them. It is well assumed that Brig Gen Abdur Rouf might have remained silent even though he came to know about the secret conspiracy of the coup. At the same time, ABM Safdar, a senior police officer was the chief of the National Security Intelligence (NSI) in 1975. During the war of independence of Bangladesh, ABM Safdar was director general of Special Branch of police in service for the Pakistani government. His loyalty to Bangladesh and Bangabandhu government was questionable. ABM Safdar was rumored to have links with the Central Intelligence Agency (CIA). From various books and documents such as – Mission R&AW by RK Yadab; Inside RAW by Asoke Raina; Bangladesh – A legacy of Blood by Anthony Mascarenhas; Silent Witness of a General by Major General (Retired) Moinul Hussain Chowdhury; Truth false of Rakkhi Bahini by Anwar Ul Alam; and Mujib Murder in US documents by Mizanur Rahman Khan – it is clearly understood that many of the influential figures in BAKSAL as well as them chief of Armed Forces Major General Shafiullah and leader of Jatiyo Samajtantrik Dal (JSD) etcetera were partly or fully aware of the coup. Following the brutal murder of Bangabandhu in 1975, chief of Bangladesh Army, Navy and Air Force declared their loyalty towards the post-Bangabandhu government led by Khandaker Mushtaq Ahmed. 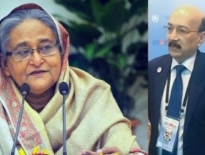 It also be mentioned here that, HT Imam, the political advisor to Prime Minister Sheikh Hasina was the cabinet secretary at the time of Mushtaq government and he enthusiastically played his ‘efficient duty’ in coordinating the oath-taking ceremony of the Khandaker Mushtaq Ahmed government. I wonder, till date, how many of such collaborators of the killers of Bangabandhu are still very much within the inner circle of Prime Minister Sheikh Hasina. NATIONAL	What the Kashmiris are willing Exactly!